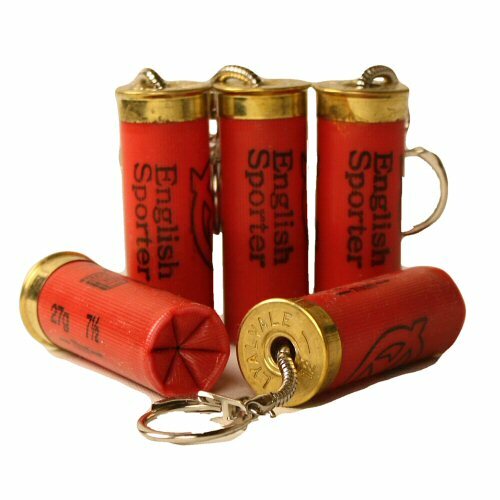 One inert 12 bore red shotgun shell, star crimped, with birdshot and wad filling, fitted with a keychain in the primer pocket. The keyring assembly contains no powder or primer. Price is for ONE keyring with shotgun cartridge only. Keychains may only be shipped with courier outside mainland UK. Case markings on hulls may differ from actual product delivered.